Thanks to Pope Francis, the Catholic Church is making its way through the Year of Mercy. During this time, we look for ways to show mercy and to enact, through our physical, ordinary lives, God’s compassion for those who suffer and forgiveness for those who have caused harm. This is a wonderful theme for any year—or any given day—and we are grateful for a pope who leads us in this outpouring of holy love. However, we tend to express well and pass along only what we have experienced personally. We do better if we have examples to follow, models of the behavior and attitudes we want to manifest in ourselves. So if we hope to be merciful in these weeks and months, we might begin with a particular type of Examen prayer: reviewing the mercy we have experienced or witnessed. Step 1: Quiet your mind and heart, and ask the Holy Spirit to guide your vision and understanding. Step 2: Look back on various periods of your life—childhood, school days, young adulthood, decades of work and career (It might be easiest to focus on just one of those periods. )—and identify an occasion when someone acted mercifully toward you. That person forgave a misdeed or gave you room to improve or stepped in to help you in a difficult or uncomfortable situation. Step 3: Once you’ve identified this occasion, dwell there in your imagination and memory. Ask the Holy Spirit to bring to your remembrance the gentle tone of voice, or the facial expression that soothed you, or the decision the other person made that helped you rather than punished you. Try to remember how you felt and what was going through your mind. Step 4: Thank God for this experience of mercy. Thank God for the people involved and for the situation that gave you an opportunity to experience this grace. Step 5: Now ask the Holy Spirit to help you look at your current situation and see if there is someone who needs your mercy right now—whether forgiveness for a wrong they’ve done, or opportunity to improve, or help in a difficult or uncomfortable situation. Try to visualize what you might do, and when. Step 6: Ask God for the opportunity and wisdom to express mercy in the days to come. One variation on this prayer is to do the following for steps 2, 3, and 4. Step 2: Look back through stories in the Bible that provide a model for mercy, such as God saving the Israelites from slavery in Egypt or Jesus showing mercy to a sinner. Or look through news stories, biographies, and documentaries that provide present-day examples of mercy, such as people helping refugees or visiting those in prison or mentoring people in recovery programs. Step 3: Once you’ve identified the story, dwell there in your imagination. What would it have felt like to be the person who needed mercy? What fears and regrets might that person—or people—have had? 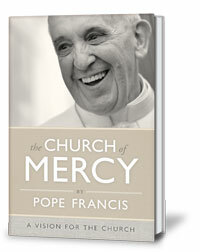 Try to see in detail how mercy was shown: assurance, companionship, advocacy, healing, practical help, etc. Step 4: Thank God for this great model for mercy. Thank God for the people involved and for the situation that gave people an opportunity to experience this grace. You might try this Mercy Examen every week or so, or once a month, to encourage and inspire you during this Year of Mercy. A mercy shown to me as a child has reminded me to show patience (Mercy) now to an older senior who acts like a child. Please pray for him and his wife who is a saint. Thanks Vinita. When I looked back at my life, I realized that at the darkest times of my life, God always carried me on His loving arms. In my despair and sorrow, God gave me hope, love, and care. God shows His mercy to me through people around me. Loving God, thank you for your love and mercy, I wish that the rest of my life would be a song of praise and thanksgiving to you. Amen. what could i possibly say? for no words could express how grateful i am for this message.thanks!